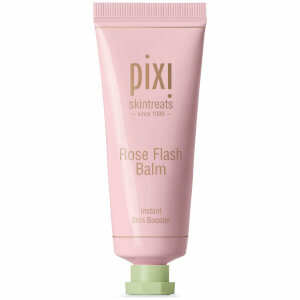 Wake up to a repaired complexion with this Nourishing Sleep Mask from PIXI. The youth-preserving mask covers your skin with a nutrient-rich veil of moisture to heal and protect your skin while you sleep. Enriched with fruit and flower oils to soothe, Arginine to strengthen, and Hyaluronic Acid to plump, the overnight nourisher seals in any serum or treatment applied underneath and leaves you with a silky smooth complexion. – E.W. 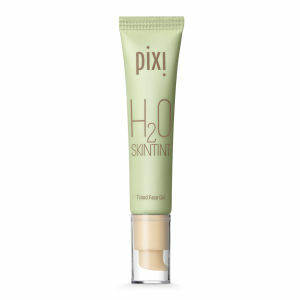 Apply a thin layer onto clean skin as the last step in your night time skincare routine. Leave on overnight and rinse off in the morning. Use 2 to 3 times per week. 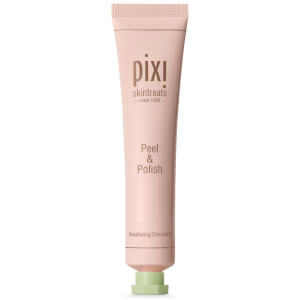 Water, Glycerin, Dipropylene Glycol, Hexyl Laurate, Stearic Acid, Caprylic/Capric Triglyceride, Phenyl Trimethicone, Simmondsia Chinensis (Jojoba) Seed Oil, Glyceryl Stearate, Macadamia Ternifolia Seed Oil, Sodium Acrylate / Sodium Acryloyldimethyl Taurate Copolymer, Sorbitan Stearate, Polysorbate 60, Isohexadecane, Phenoxyethanol, Polysorbate 80, Glycosyl Trehalose, Arginine, Carbomer, Ethylhexylglycerin, Hydrogenated Starch Hydrolysate, Disodium EDTA, 1,2-Hexanediol, Lavandula Angustifolia (Lavender) Oil, Citrus Limon (Lemon) Peel Oil, Citrus Aurantium Dulcis (Orange) Peel Oil, Citrus Aurantium Bergamia (Bergamot) Fruit Oil, Pelargonium Graveolens Flower Oil, Sodium Hyaluronate, Caffeine.